Drink good coffee, Read good book! All our hotel rooms has windows for your enjoyment of KL city view. 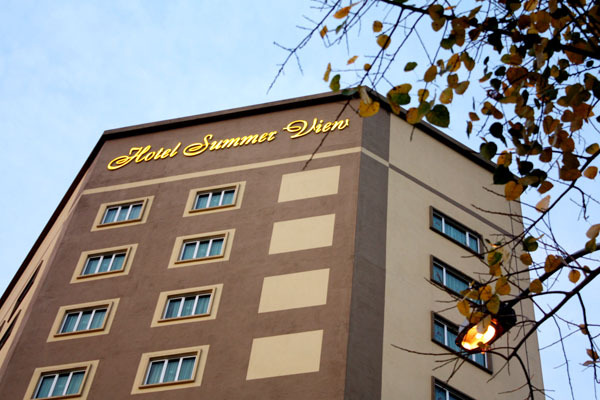 Hotel Summer View is a unique tourist class hotel in the city of Kuala Lumpur. It is cozy, clean, convenient, comfortable and affordable. Its existence is a traveler’s dream come true and it is surely any sensible traveler’s choice of accommodation away from home. Clean & comfortable cozy hotel right in the middle of the city. Staff were very helpful they always kept a smile on their face. Great location. As usual our stay was fine. I have stayed here many times. Nothing flash but in a great location. If they just bought some new shower curtains which went right down to the floor I would rate it higher. An enjoyable stay. Stay for 1 night & come back to stay for another 2 nights after that. Very comfortable. We came back because we enjoyed it last year. Extremely friendly and helpful staff. It is excellent value, especially considering that a good breakfast is included.